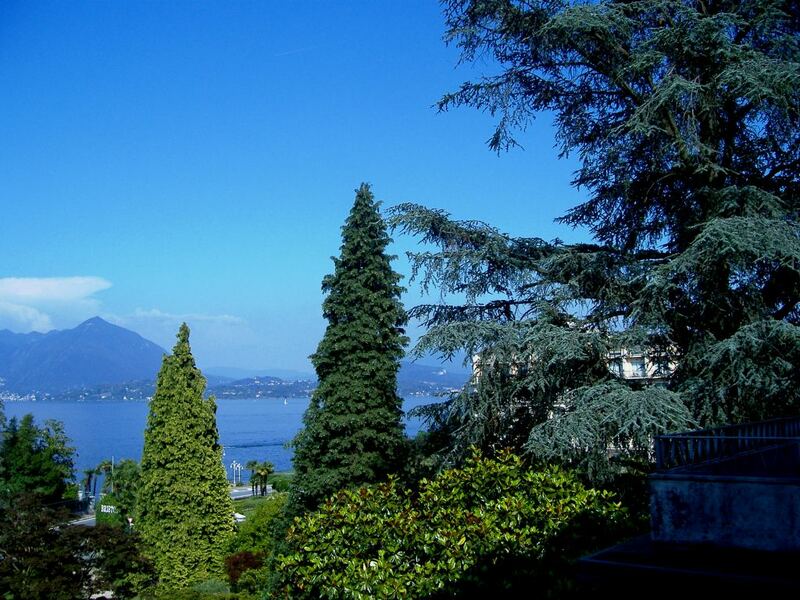 Several years ago on a coach tour I visited Lake Maggiore and stayed in Stresa. I remember thinking to myself then I would love to return to this magical place and stay. Well here I am, I have returned and it is even more lovely than I remembered. I sit here at my hotel room window and look out over the lake and the mountains. The view takes my breath away. The weather is perfect and everything just looks so lush and alive. We arrived here only 3 days ago and already we have seen and done so much. Our hotel, La Fontana is quite close to the city centre so it is an easy walk. Actually it is an easy walk and a beautiful walk. 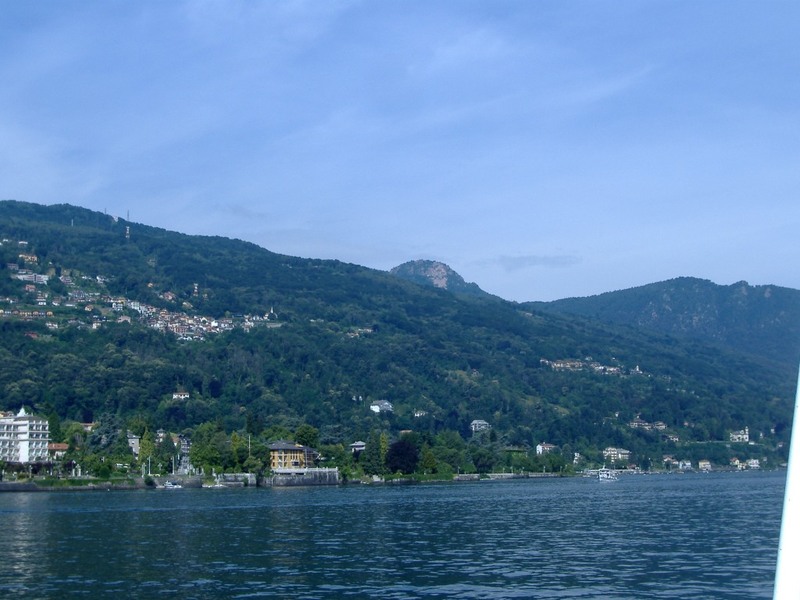 We walk along the foreshores of the lake through stunning parks, past fabulous restaurants and bars and look up to some of the most beautiful hotels I have seen. La Fontana is a delightful family owned and run hotel so being here almost feels like home. 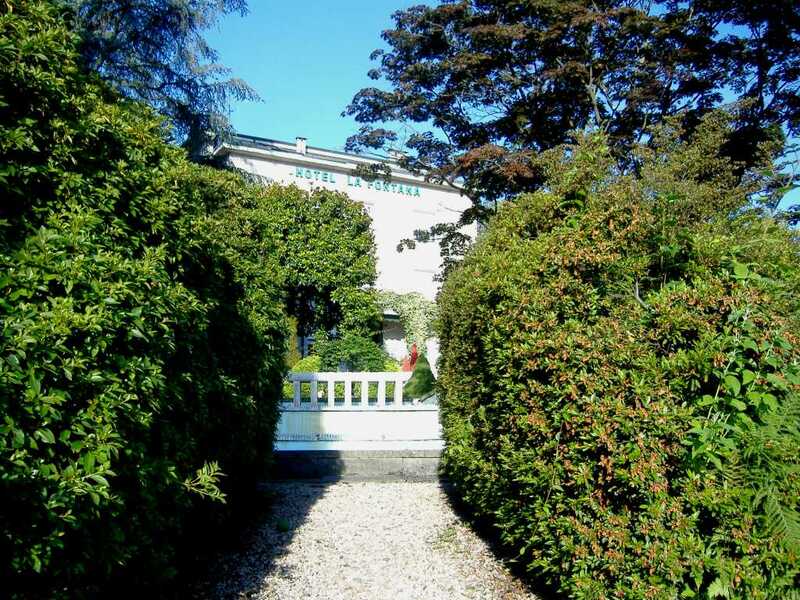 After our time in Cinque Terre, where everything is so small and space is at a premium, Stresa is the complete opposite. Everything here is large and open with so much space around. Even the cars are bigger here. Parking is easy and plentiful. We walk into the town centre after breakfast each day as this is usually where we leave from for our day trips. Here are some of the sights we see on our walk. After a full day out, we come back to the hotel and usually enjoy a nice cold beer in the hotel bar down stairs and chat with the owner Giuseppe. Then we shower and get ready to head off in to town again. The main piazza in the town is always alive with activities, offering many choices of places to eat with lots of restaurants and bars. There are also many lovely stores. Last night there was live entertainment in the piazza, beautiful organ music in the church and jazz being played by the lake. We wandered from one to the other and enjoyed a wonderful evening. I feel like i’m right beside you…could taste that cold beer in the bar! My favorite photo is the one with the palm trees and promenade. My kind of retreat! I can tell…and I completely understand! Every town you have photographed all are so beautiful. You are living your dream! Your pictures have bought back so many wonderful memories. Hotel Fontana is such a wonderful place to stay and the lake is wonderful. 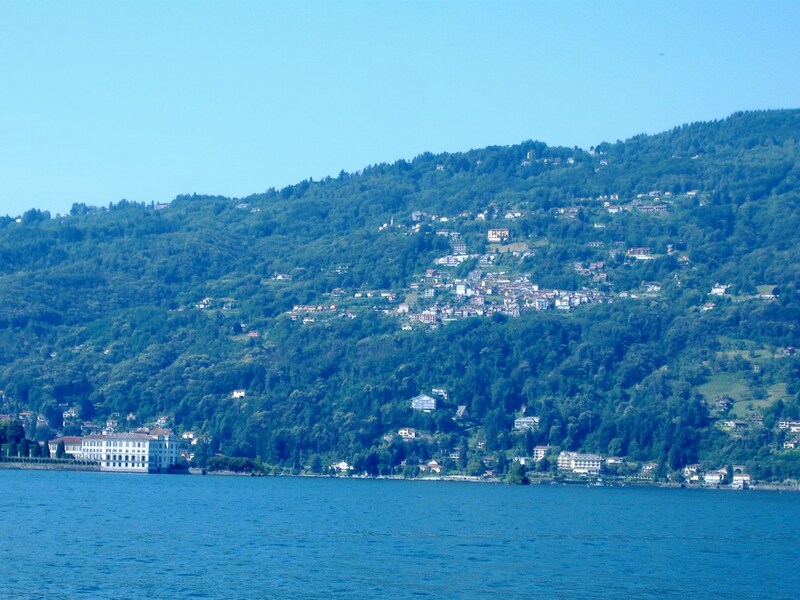 If you drive north along the lake you will end up in switzerland and they have wonderful restaurants at the top end of the lake its definately worth the trip. 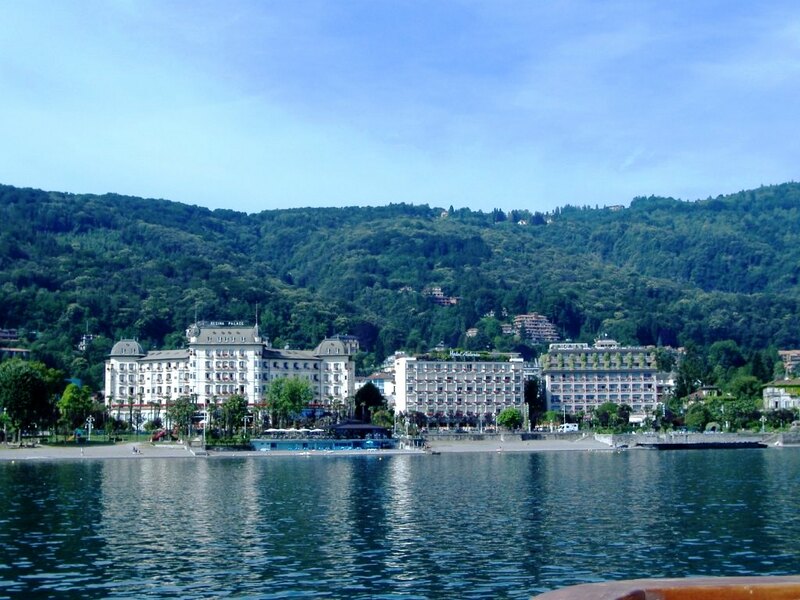 I am currently listening to Ernest Hemingway’s “A Farewell to Arms” and some of the events of the book take place in a hotel on the lake at Stresa. Your lovely photographs reinforce the descriptions in the book nicely!